I took a little trip to Round 1 in City of Industry, California last week. 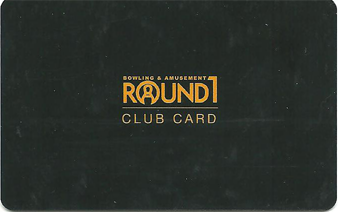 Round 1 is a large amusement company in Japan, with over 100 arcades in that country. The California location is the first one in the USA and only opened in 2010. Hopefully there are more coming. Aside from the arcade, Round 1 also has bowling, darts, karaoke, billiards, ping pong, and a restaurant. It's inside the La Puente Hills Mall and it is massive. The arcade itself is a Japanese style arcade, with lots of candy cabinets, super deluxe games, super deluxe UFO catchers, purikura photo/sticker booths, air hockey tables, and tons of redemption games. They have quite a few games that are hard to find elsewhere, including Technika 2, Raiden IV, Tatsunoko vs Capcom, Tekken 6: Bloodline Rebellion, Elevator Action Death Parade, and Super SF IV. 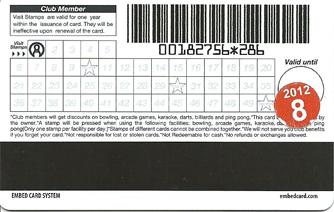 Everything runs on an overly complicated card swipe system. Some games cost credits, or you can buy unlimited games by the hour. Bemanistyle.com has a pretty good explanation of the pricing HERE. I'm not a fan of card swipe systems, but the system at Round 1 works surprisingly well. I went ahead and bought the club card for an extra $5 and it looks classy, plus they gave me an awesome Round1xHello Kitty keitai strap! Hello KittyxRound 1 keitai strap. The redemption center has lots of GOOD prizes! A 100" super deluxe Terminator Salvation. Super Street Fighter IV cabs. They have DJMax Technika 2! I didn't get a chance to play, because I was kinda short on time and the line was long, but it looks awesome! An alternative to putting your token up. Round 1 has some serious UFO catchers, some of them cost $5.00 USD to play! It's a casino for kids! There's a lot more going on at Round 1 than I could get pictures of, the place is seriously gigantic. I really hope they build one of these in northern California soon! That's all for my review of Round 1. I thought it was an absolutely wonderful arcade and would recommend it highly! I wasn't able to get any tokens this time, if anyone has any they want to part with, please let me know!